Located in Sydney's Eastern Suburbs Torrisi Automotive offer mechanical & auto electrical repairs services as well as fleet servicing, log book servicing, safety checks, tyres, wheel alignments and wheel balancing. Our qualified and technically trained motor mechanics carry out your car repairs and maintenance and use fully guaranteed or manufacturer recommended parts. We seek your approval before any major repairs are carried out, to keep you in control. Using the latest state of the art equipment we ensure the job is done right the first time as well as lowering the cost of your vehicle repairs. Visit our website for more information. Edgecliff Automotive offers car servicing and repairs to all makes and models of motor vehicles however we are European vehicles specialists including Mercedes Benz, Porsche, BMW, VW and Audi. Using the latest diagnostic computer equipment our car mechanics can solve the problems your car is experiencing now and spot potential problems in the future. We offer log book servicing, wheel alignments and balance, pink slip inspections, air conditioning, brake and clutch services. Our fully qualified motor mechanics will carry out your car service requirements using only genuine or guaranteed new parts, ensuring your warranty is kept in tact. Every vehicle serviced receives a complementary hand car wash, visit our website for more information. automotive repair & service centre providing over 20 years of vehicle care in the Eastern Suburbs. Bondi Junction Auto Services is a long established automotive repair and service centre providing over 20 years of vehicle care in the Eastern Suburbs of Sydney. Specialists in European and Luxury car maintenance, we are also a proudly accredited female friendly business. 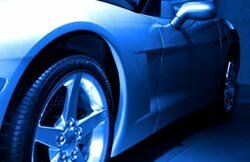 We cover all Automotive mechanical and tyre needs including:* Log Book Servicing* Wheel Alignments * Automotive Mechanical repairs* Automotive Electrical* Air Conditioning* Tyres* Child Restraint Fittings* Rust Repairs Our technicians utilise the latest computerised equipment ensuring the best care for your vehicle. We hope you find the Tyres and More experience to be efficient, convenient and professional. Please contact us for more information. Wheel Alignments & Tyre Fitting. Surry Hills Tyre Service, service and maintain a wide range of vehicles as well as carrying out manufacturers handbook services. Tyres are available for all makes and models including small SUV's up to large 4WD's. Our trained technicians can carry out steering alignments and wheel balancing with our new and improved workshop equipment. We use a Powerrex Wheel Alignment system, Hoffman Wheel Balancer and Eagle SMF tyre changing machine. Listed here are just a few of the vehicles we service for our customers: Bmw, Ford, Ferrari, Holden, Honda, Jaguar, Lexus, Maserati, Mazda, Porsche, Saab, Toyota, Volvo and VW. Come in and meet our team of technicians where we give friendly service at a reasonable price. Established since 1991, Franks Automotive offers a variety of services including -* Complete car, 4WD & truck log book servicing * All mechanical petrol & diesel repairs. * All electrical repairs, services & installations - * All fleet requirements. * Air conditioning repairs & servicing* E - safety check registration inspections * All tyres & wheel requirements * Wheel alignments & balancing* Breakdown service, including towing service available* Pre purchase inspections* Courtesy cars available * Performance vehicles - all performance work & adviceWe are also offering Sydney's First Biofuel station retailing E10 Unleaded as well as 2 forms of biodiesel. Please contact us for more information. Established since 1939, Brooks Tyre, Brake and Steering has continued to specialise in it’s area of automotive industry, carrying a comprehensive range of Passenger, Light Truck, Truck & Industrial tyres. We also have a large fleet of road service vehicles including a mobile industrial solid tyre press. Our services include:* Precured Truck Capping* Roadside Tyre Service Everywhere* Wheel Alignments * Petrol & Batteries* Wheel Balancing (Truck & Car) * Mechanical Repairs & Services* Front End RepairsThe Brook’s fleet covers from the mountains to the sea, North to Newcastle and Wollongong to the South. Please contact us for more information. We stock a huge range of wheels and tyres from the world’s leading manufacturers. Established in 1979 and run by George Walker for 23 years, the team at Bob Jane T-Marts Hornsby is highly experienced and always ready to help. We stock a huge range of wheels and tyres from the world’s leading manufacturers. We also perform expert wheel alignment and balancing services using the latest technology. When you shop with Bob Jane T-Marts Hornsby, a 100% Australian owned business, you're supporting local business and the local community. 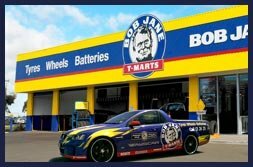 Whether it’s choosing new tyres, checking out the latest wheels, or stopping by for a free tyre safety check, drop in today and the team at Bob Jane T-Marts Hornsby will look after you. Please contact us for more information. A complete range of quality car servicing options including expert advice on tyres. Kmart Tyre & Auto Service in Bankstown offers a complete range of quality car servicing options including fixed price servicing and log book servicing. We use only quality parts and lubricants and all our work is guaranteed. We also offer expert service and advice on tyres, balancing, fitting and wheel alignment. Unbalanced wheels can cause premature wear of your tyres, accelerated wear of your shock absorbers, struts and steering components, not to mention affecting your car's performance. Our expert technicians can ensure the weight of your wheels is distributed evenly to provide you with a smooth ride and reduce your car's chance of early tyre wear. Please contact us for more information. Blair's Tyres offers cheaper wheels and big tyre brands in Sydney. In the early 1970’s Blair’s Tyres was established as an independent tyre outlet. After 35 years we have earned a reputation for providing quality service and a wide range of tyres at low prices. We give you the opportunity to get a good deal, a meticulous standard of general automotive, tyre and wheel service, well trained and friendly staff. We are there for you, whether you need assistance with suspension repairs & modifications, brakes, exhausts or wheel balancing. Add all this to the fact that we are an NRMA approved repairer and a member of MTA, and you begin to understand why we really are the one stop shop for your car’s overall maintenance. Please contact us for more information. Access Vehicles Australia is a major supplier of new and used wheelchair-accessible vehicles.